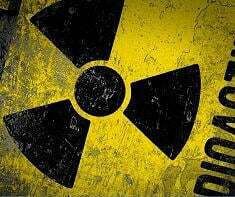 Radiation produces cancer, he stressed – even minuscule amounts too tiny for the human eye to see. Planet earth is being systematically irradiated. Wakeup calls like forest fires raging near Chernobyl spreading radiation go unheeded.